There are two ways to check your JAMB mock result... One way is to check it with JAMB result checker app and the other way is to visit www.jamb.org.ng/efacility/. 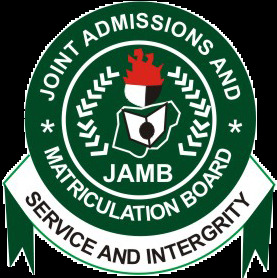 How to check JAMB Mock Result with JAMB Result checker app. Visit this here to download the app. From the drop down menu, kindly select "UTME Examination (Mock) to check your mock result. From the drop down, select ‘UTME Examination (Mock) to access your JAMB Mock Exam Score. See how to check your WAEC 2017 Result here. NB: Non participants will see ‘You did not seat for Mock Examination’. [Upgrade your JAMB,WAEC,NECOJAMB Score to 140 to 270]??? Wow i am so so happy finally i make my jamb.my name is peter sarch i am from River state,i am one of the 2018 jam-bite candidate.i wrote my jamb on 9/03/2018,and i went to check my result and my score was 140 and my cut off mark is 205.i was so sad i could not tell my parent about it even when they asked me i told them that the result is not yet out.i was crying all day because i have being writing jamb for the past five years now.i was so worried i have no option than to go to the internet and i saw a post that if i want to upgrade jamb score that i should contact the following number,and i call the number and save it on my phone.after two hours i called the Man and i explain things to him. he told me not to worry that i should send him my details. after sending him my details, he told me to pay some amount of money that i will receive an sms from jamb, at first i was scared and i never believed him. i thought he was a scam but due to his advice, i later have little faith on him. i was so surprise that after i sent the money he asked me to pay, few hours time i saw jamb sms on my phone and i opened it with fear i saw that my score has being upgraded from 140 to 205…i share this testimony because of those who are having the same problem to please contact Mr OKAFOR on 08161532663 sir you will forever be bless once again thanks. So Call 08161532663 now to score above 257 and for checking and upgrading of score, Pending Results Issues call jamb head office on 08161532663. for help This Is 100% Guaranteed, Interested candidates Should Tel: 08161532663 our email pascafamous12345@gmail.com Now! Charges Applies and 100%Guaranteed© Thanks to Mr OKAFOR am grateful sir.